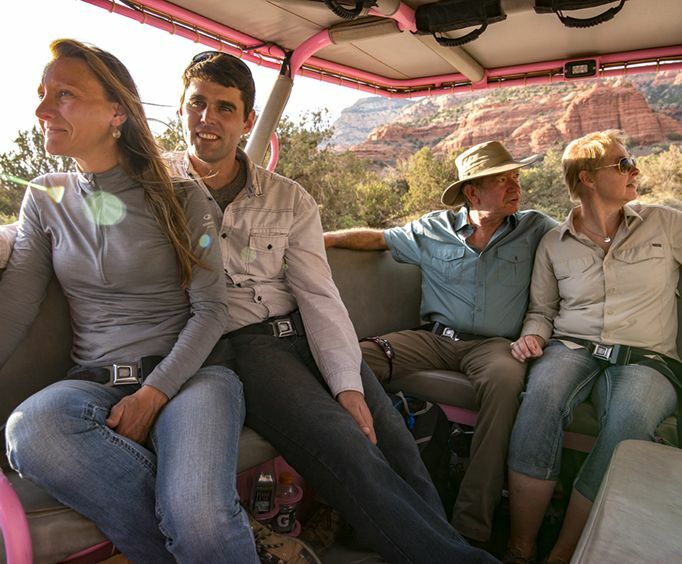 This four-hour Pink Jeep Tour will take you through the desert, first in the pastel Jeep and then on horseback! Led by a professional tour guide who doubles as your certified and trained 4x4 driver, you will be taken through the old southwest learning some of the most interesting information about the area. 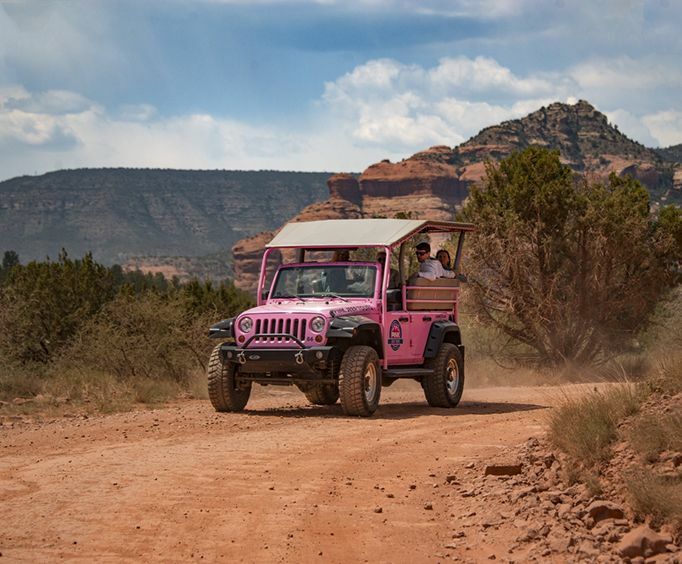 Your customized pink, open-air, four-wheel drive Jeep Wrangler will give you a ride among the rough terrain of the Arizona landscape. The first part of your tour is completely up to you. 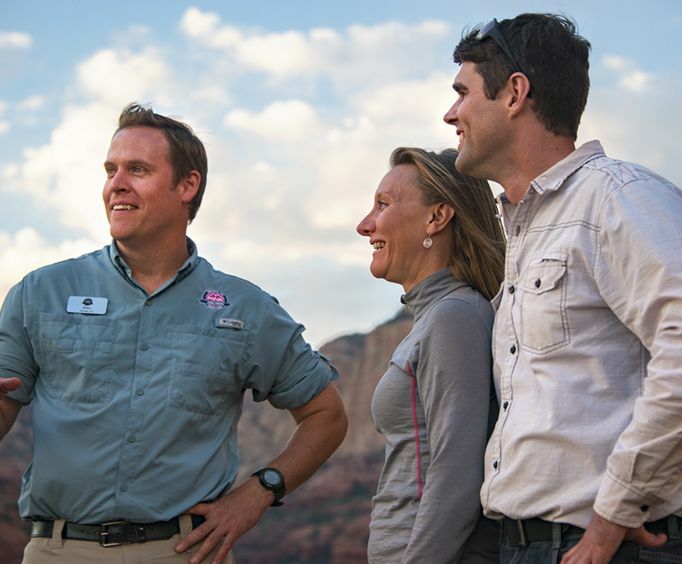 Whether you choose to take the Diamondback Gulch Tour or the Coyote Canyons Tour, you're sure to have your fill of stunning views and great narration by your tour guide. Next, you will get out of the Jeep and meet your cowboy tour guide from Horsin' Around Adventures. Once you hop on the back of one of these magnificent horses you will be taken on a 1.5-hour tour along the trails of Airport Mesa. The horseback tour is a unique way to see some of the most incredible sights. As you trot along, your cowboy tour guide will learn all about the rare wildlife, rich history, and urban legends of the area. Don't miss this incredible opportunity to see the Sedona outback. You will love the first part of your tour where you're sitting in an open-air Jeep, but you might just find the second part of the tour on horseback even more exhilarating!